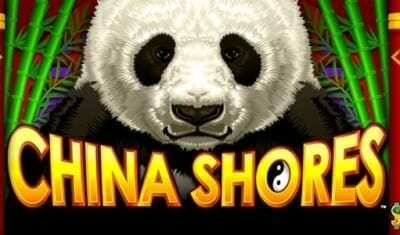 Konami Slots - Play My Konami Slot Games for Free Here! Konami’s position as a creator of innovative, visually impressive slot machines and casino games comes after a long, varied history in technology and entertainment. Starting from its simple roots, this Japanese company grew into a multimedia powerhouse with gaming divisions throughout Asia and North America. Staying true to its slogan of “Born from Fun,” Konami develops and distributes both original creations and games based off of its popular video game licenses. With a growing online presence and a steadily increasing list of unique slot machine features, Konami is prepared to stay competitive in the modern gaming environment. Players looking to try out some of Konami’s hottest offerings can keep an eye out for the following games. No. 1 Dragon’s Law Twin Fever: A fun, Chinese dragon-themed slot machine, featuring five reels and 30 paylines. This game includes basic action-stacked symbols as well as a free spin bonus round. The titular twin dragons are at the heart of the game. One or two lucky dragons can arrive after any spin to drop additional wild spaces onto the reel for some surprise wins. No. 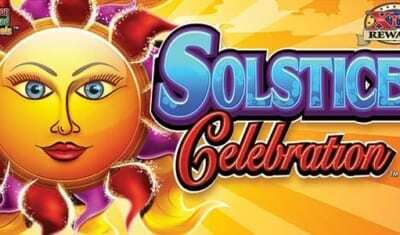 2 Solstice Celebration: A cute, wonderfully designed slot game has a theme around the beauty of spring in an enchanted meadow. The five-reel machine features 30 paylines and uses an enhanced version of the action-stacked symbols as a bonus. Called the Sparkle feature, all action-stacked symbols are lined with a bright border. Filling two reels with a full stack of sparkle-lined symbols nudges other partial stacks to fill their reel. It also has the potential to trigger a free spin bonus round. No. 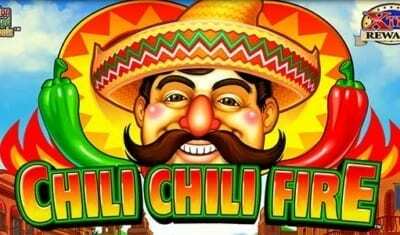 3 Chili Chili Fire: A five-reel 30 paylines slot has a general Mexican theme. Including action-stacked symbols and the chance to win free games, this machine also uses the Fade Away feature. After any spin, low-paying card symbols have the opportunity to fade away. The newly empty spaces then fill with random higher paying picture symbols, with a chance to turn a disappointing spin into something special. No. 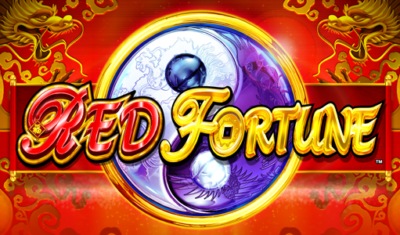 4 Lion Festival: Boosted Celebration – Inspired by Chinese New Year celebrations, this five-reel slot machine offers players a mix of neat features including a boosted middle reel that has double the symbols to make forming a winning combination that much easier. It includes action-stacked symbols and a free spin bonus round, but the bonus round includes the twist of the Balance of Fortune system. 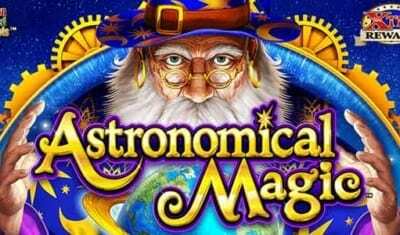 After winning free spins, players can stick with their standard 2x multiplied free spins, or they can trade stacks of five free spins for a “super-free spin” with a much higher multiplier. No. 5 Castlevania: Labyrinth of Love – Konami has multiple Castlevania themed slots, inspired by its video game franchise of the same name. This five-reel machine includes an expanded free spin mode along with a progressive jackpot tied to the Castlevania game board. Players who trigger the minigame get to pick from different sets of potential moves to try and reach the castle. At that point, the game switches to a flashy battle minigame, where players get to spin a set of reels to try and land on attack symbols that kill enemies while hoping that they avoid the damage symbols that close off the reel. Making it past the bosses can reward the player with one of the four progressive jackpots. Sadly, Castlevania machines are generally not available on a mobile device. While some of Konami’s more advanced machines are sadly still stuck in physical casinos, it has developed mobile versions of many of their classic slots. Players with a mobile device should be able to find free versions of Konami’s online slots available in participating casino apps. Anyone lucky enough to live where real money online slots are legal will also find real mobile versions available. For unlucky players, Konami does offer a nice middle ground. The My Konami Slots app is available for iOS and Android devices. This app offers several popular slots for free play. Players can collect free chips throughout the day, and the app includes a daily free bonus spin that can award credits. While packages of chips are available for purchase, patient players can stick with the Konami free casino slot games. The Konami slots app includes linked progressive jackpots and slot tournaments for players looking for high-stakes play. Konami goes back to its video game roots by also offering daily challenges and quests, which reward players for hitting set goals or betting certain amounts. The real hook is that players can win loyalty points that they can spend on prizes and comps at real casinos, similar to Chumba Casino. Players can earn room discounts, credit toward food, tickets to great shows or just themed merchandise. It’s a great way for players to have a little fun between trips. Konami began as a jukebox rental and repair company in 1969 based out of Osaka, Japan. The name comes from the first letters of its three original officers, Kagemasa Kozuki, Yoshinobu Nakama and Tatsuo Miyasako. The company’s founder, Kozuki, still sits on the executive board. Konami moved away from its original jukebox focus fairly quickly, transitioning to manufacturing arcade cabinets in 1973 to take advantage of the growing video game market. Konami would go on to produce its important additions to arcade gaming by developing hits such as the massively popular Frogger in 1981, along with gamer favorites such as Scramble and Super Cobra. The company was able to adapt to the rapidly changing video game market throughout the ’80s and early ’90s, providing titles for the Atari 2600 and the original Nintendo console. Konami adapted and evolved its popular Scramble arcade game into the fan-favorite Gradius for the NES, and also developed popular franchises such as the Castlevania and Metal Gear series. 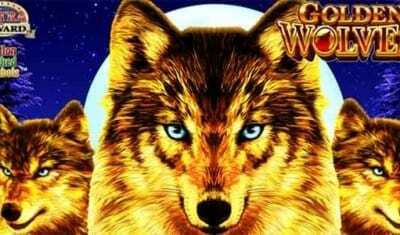 The video game division continued to grow through the ’90s and 2000s with steady sequels and developments even as the company branched out into the gambling industry. Always looking to maintain synergy between their divisions, many of these great video game properties would be adapted into themed slot machines. Konami’s casino gaming division began with its entry into the Japanese pachinko machine market in September 1992. After several years, the company opened Konami Australia in late 1996. In 1997, this subsidiary would oversee the rollout of Konami’s expansion into the Australian gaming market and later the general Asian market. Konami expanded into the American casino gaming market in January 2000. The move into the American market was cemented with the construction of a manufacturing and development office in Las Vegas in 2005. The 360,000-square-foot facility served as its base of operations for expansions through North America, South America and Europe. Building on the success, Konomi opened a second facility in Las Vegas in 2015. While Konami is known for its striking visual design, the company has introduced some software innovations to offer exciting updates to the classic slot machine design. Its development takes full advantage of the ability to modify digital reels before the game or switch symbols after a spin. As a rule of thumb, Konami has focused on enhancing standard slot machine play rather than focusing on adding separate bonus rounds. Konami’s unique twists on the slot machine formula give players a chance to see ordinary spins suddenly change into rich jackpots. Players of Konami slots are almost guaranteed encounter its action-stacked symbols system. This feature creates sections across all the reels in a game that pick one single symbol to stack for that spin. With a little luck, players will see these sets of stacked symbols fill up their paylines for big wins. Also, many games have separate bonus features that tie into the action-stacked symbols feature. For example, players may see the reels get nudged into higher payouts with the right set of lucky frames. Other variations on standard play include dynamic reels that can morph after a spin. In certain games, players may see new wild symbols appear to fill out lines, or they may see low-value spaces disappear to make room for big winners. That’s not to say that Konami has ignored its bonus games, even if it sticks to traditional free spins and multipliers. When going through Konami’s catalog, players will find innovations such as the Balance of Fortune system. This offers winners a choice in how their bonus game plays out, usually based around a more certain smaller payout versus a riskier shot at a big return. The addition of special Mirror reels in bonus rounds also adds a fun change of pace to free spins. Mirror reels are what they sound like, with the two leftmost and rightmost reels mirroring one another, making it easier than ever to get a straight line of five symbols. Similarly, while many of Konami’s games feature bonus games and special features instead of traditional jackpots, some entries feature progressive jackpot systems. Games such as Pirate’s Jackpot and Pharoah’s Wish include stand-alone progressive jackpots. Konami also has machines with community-linked progressive jackpots. For example, Beat the Field offers players — in a bank of linked machines — each a chance at different progressive jackpots when one player in the bank triggers the special round. Eligible players can win set bonuses or a progressive jackpot based on the results of a simulated horse race. Machines, such as the new Power Boost Inferno, offer a supreme progressive jackpot that can potentially be linked across multiple participating casinos. Konami’s recent innovations have also shifted toward more noticeable changes to gameplay. In 2016, the company unveiled the Crystal Cyclone. This upgrade adds a social element to Konami’s older physical machines. The system places a roulette wheel in the center of several linked Konami slot machines. When triggered, players on the linked machines get to watch bonus balls fall onto the spinning wheel in the center with credits and bonuses applied based on where the balls land. Finally, Konami’s development comes full circle with the recent development of a partially skill-based Frogger game that provides increased payouts to players who can get their frog farther up the randomly generated arcade game.